A game prototype which can be played on a Go set with a randomizer like a die. 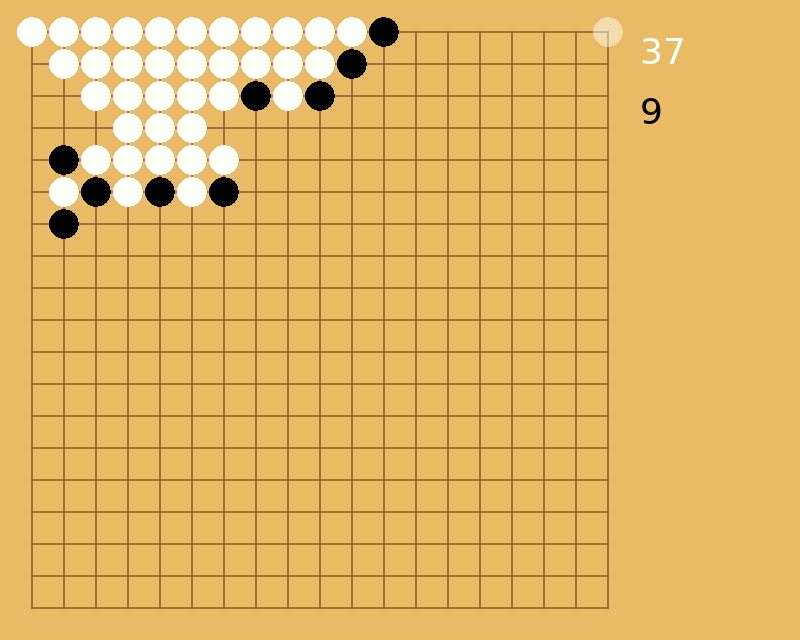 You place white stones on the board with mouse, and the computer immediately places a black stone adjacent to your white stone. It chooses the place of the black stone randomly. If a black stone has four white neighbors, it turns to white, and if a white stone has four black neighbors it turns to black. It happens in this order. 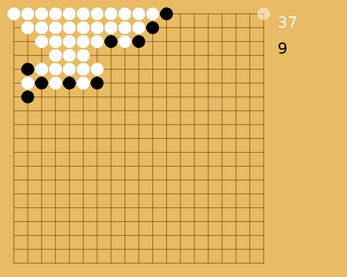 The goal in the game is filling the board with only white stones. But you can have self imposed goals like having more white than black, more black than white, or filling with black. Or you can play against other players, trying to top their scores.